ACCIDENT INSURANCE: Parents should arrange to have adequate insurance coverage. A trainer will be present at all times. OBJECTIVE: Our program allows us to focus on developing each campers’ knowledge and skills in soccer. The camp is designed for boys and girls in individual skills, tactics, and fundamentals of team play. 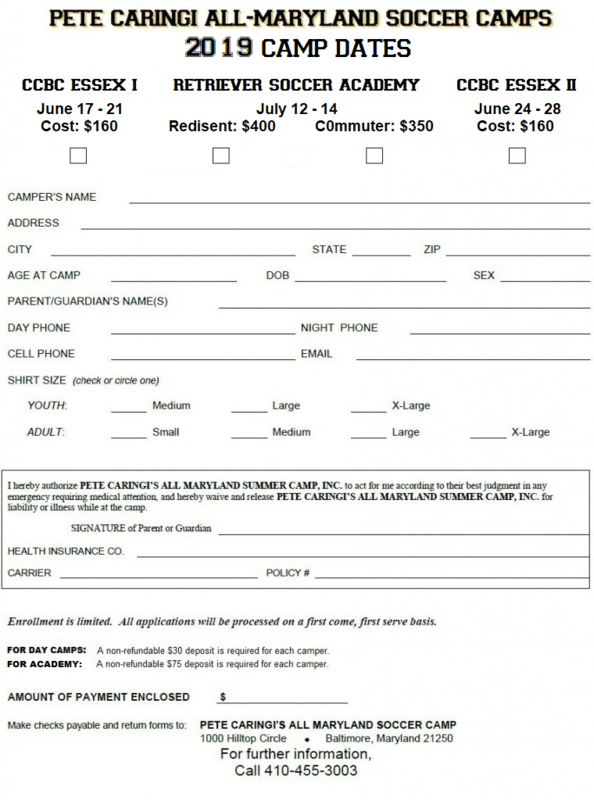 EQUIPMENT: each camper is expected to provide his or her own equipment. This includes shorts, shoes, and shin guards. Each camper will be given a camp t-shirt and a ball.